President Donald Trump notified House Speaker Nancy Pelosi Thursday that she would not be allowed to use military aircraft for an upcoming trip to Afghanistan, citing the budget shutdown. 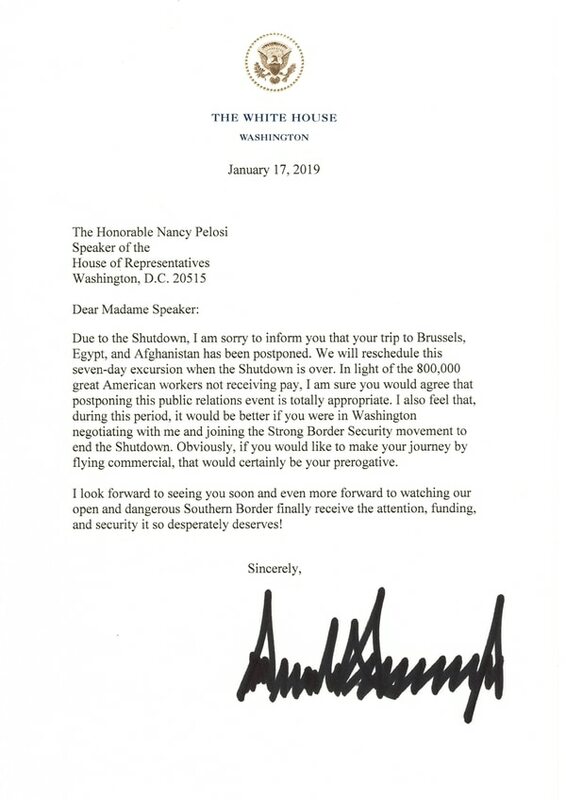 The letter seemed to be in direct response to Pelosi asking the president to postpone his State of the Union address, held in the House chambers of Congress, until the shutdown is over. In her notice, Pelosi said that the unpaid Secret Service and Department of Homeland Security may not be able to provide adequate security. It is the president's first conflict zone trip since taking office. Pelosi’s travel had been tasked out by the Office of the Secretary of Defense and approved, the Air Force said. That travel would have mostly likely been supported by the 89th Airlift Wing and other units overseas who regularly provide transport to dignitaries, such as generals and Cabinet members. The dignitaries typically fly on C-32 or C-40 planes, which are specially outfitted 757 and 737 official government aircraft with blue and white livery. The direction to cancel the tasking was sent to the Air Force by the Office of the Secretary of Defense. “The tasking has been turned off,” a defense official said. DoD is one of the few agencies that was fully funded for 2019 and its forces, aircraft and ships are not impacted by the shutdown. The Coast Guard, which is funded under the Department of Homeland Security, has not been funded. A defense official said it was not a resourcing issue, i.e., there were available aircraft. 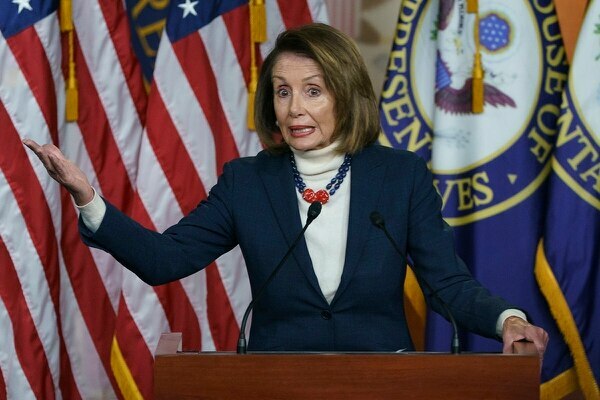 Several House members were scheduled to travel with Pelosi on the trip, one of numerous congressional delegations conducted by lawmakers in connection with their other congressional duties. 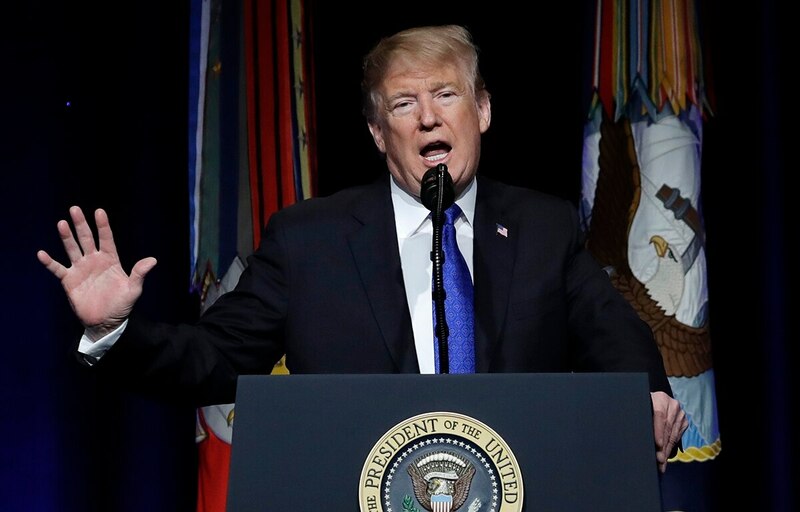 Next year's pay raise isn't the first in a decade, and it won't be a 10 percent increase, despite what the president told troops. In March 2018, Pelosi lead a similar congressional delegation to Jordan, Israel and Afghanistan with 11 other House lawmakers. Former House Speaker Paul Ryan and then-House Armed Services Committee Chairman Mac Thornberry arranged a similar trip to visit troops in Afghanistan in October. The president’s move drew immediate rebuke from Sen. Lindsey Graham, R-S.C., who said lawmakers should not be blocked from visiting troops serving in combat zones overseas. The shutdown reached day 27 on Thursday, as congressional Democrats and Trump continue to spar over about $5 billion in funding for his controversial southern border wall project. More than 400,000 federal workers have been required to work without pay for the last month, including most service members in the Coast Guard. Another 300,000-plus have been furloughed without pay while the budget dispute continues. The partial shutdown has not directly affected the Department of Defense, whose budget was approved last fall.